This Reference Article defines and explains the topic of label requirements for NFRC labels. For Energy Star program participants, the Energy Star and NFRC labels can be combined into one ‘Integral NFRC / Energy Star Temporary Label’. 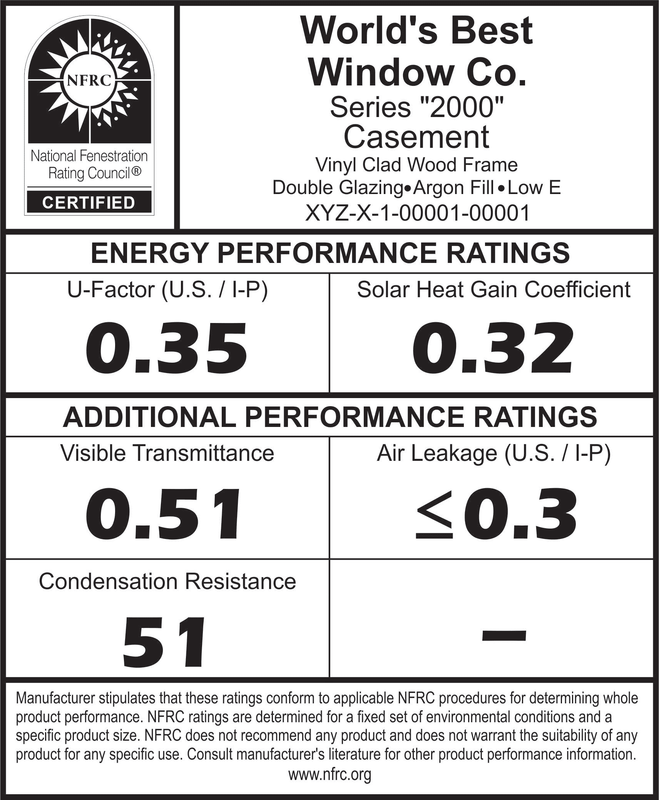 Energy Star qualification means that the Window meets certain minimum criteria (U-Factor, Solar Heat Gain Coefficient, and Air Leakage) from the Energy Star program. 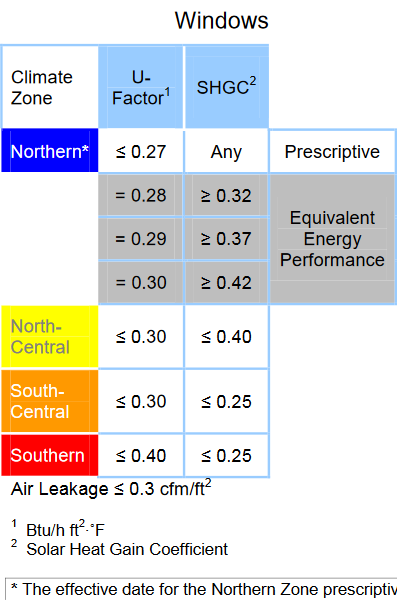 The U-Factor and SHGC minimums are based specifically defined Climate Zones. 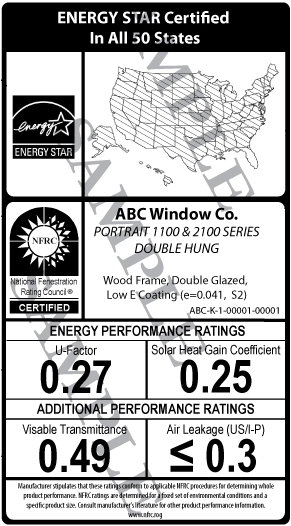 Thus the Energy Star label must show, on a map the applicable climate zones. To insure compliance with NFRC labeling requirements, various trademark guidelines, and use of the recommended label material and adhesive (i.e. will stick to a window but will come off later with minimal residue), it is recommended that manufactures purchase preprinted labels from a certified company (e.g. Keystone Pre-Printed Label Overview).